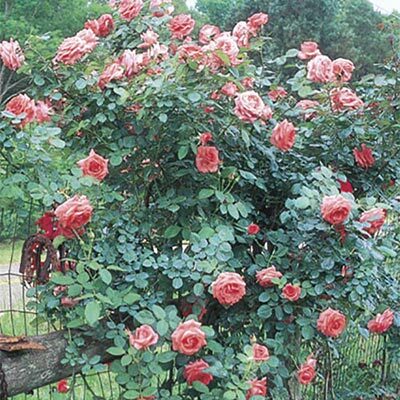 Well-formed large pure coral pink buds and blooms exude a spicy fragrance. Award-winning. Blooms on new and old wood. Proven performer. Late to flower in spring. Introduced By Jackson & Perkins Co.